﻿ Divers Lodge Guest House Kepulauan Seychelles. JIMAT di Agoda.com! Ada soalan mengenai Divers Lodge Guest House? Terletak di Pulau Mahé, Divers Lodge Guest House merupakan tempat menarik untuk memulakan pengalaman di Kepulauan Seychelles dan kawasan sekitarnya. Dari sini, tetamu boleh menikmati akses mudah kepada semua yang bandar meriah ini boleh tawarkan. Juga terletak berdekatan adalah Kuil Arul Mihu Navasakthi Vinayagar, Pasar Victoria, Victoria Clocktower. Kemudahan dan perkhidmatan yang disediakan oleh Divers Lodge Guest House memastikan penginapan yang menyenangkan bagi para tetamu. Untuk menamakan beberapa kemudahan di hotel ini, terdapat khidmat bilik 24 jam, pengawal keselamatan 24 jam, pengemasan harian, kedai cenderahati, khidmat pos. Masuklah ke salah satu dari 4 bilik tetamu kami dan tenangkan hati anda dengan pelbagai kemudahan seperti televisyen skrin rata, bilik mandi tambahan, bilik larangan merokok, penyaman udara, panggilan kejut yang boleh didapati di beberapa bilik terpilih. Kolek, selam snorkel, menyelam, memancing, taman di hotel merupakan tempat yang ideal untuk anda relaks dan tenangkan diri selepas hari yang sibuk. Apapun alasan anda untuk melawat Kepulauan Seychelles, Divers Lodge Guest House adalah tempat yang sempurna untuk percutian yang menyeronokkan dan menarik. Harap maklum perkhidmatan menjaga anak, dobi dan cucian kering disediakan dengan caj tambahan. Harap maklum terdapat penyaman udara di bilik dengan caj tambahan satu malam dan perlu dibayar di hotel. Sambungan Wi-Fi di rumah tamu disediakan dengan caj tambahan. Hi, we spend a week in Beau Vallon. My boyfriend did his Open water diver course and I did some diving as well! It was a nice clean and friendly place with verry good breakfast. The resort is very near Big Blue Divers, an convenient for divers. However, it is about a 10min walk to the centre of Beau Vallon where you can find restaurants and provision stores. The walk at night can be a little dangerous because of a lack of walking pavements. 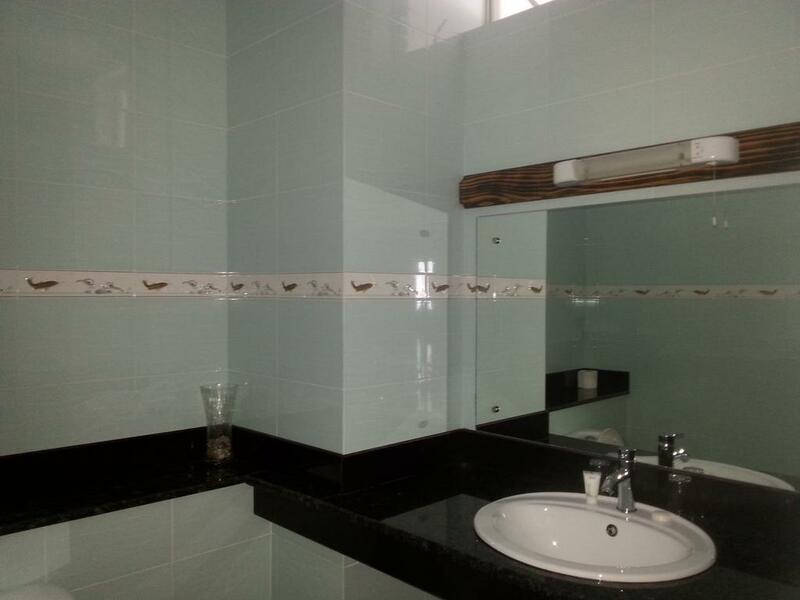 The rooms are maintained to a high standard of cleanliness and towels are changed every 2 days. We had some issues when we arrived because we were asked to pay a nominal fee for the air conditioning and WIFI, but this was resolved with Agoda when we returned. We spent 2 nights here. The are several negative points: it takes 5-10 minutes by foot to reach the area of the restaurants and the beach. The road is quite dangerous ( no sidewalk), specially at night,so you need a torch or a car. The staff is quite rude, at least with us. The breakfast was very limted and simple. After being 15 days in Seychelles, this was the worst hotel/lodge. If we come back, we will stay in other place. We will not recomend to stay there, look for a better place. This was an economy hotel but it had a good position and close to town. Being serviced daily was a surprise. The room was large enough with a nice patio and good bathroom with bath. It had a lovely breakfast of fresh fruit eggs and toast along with juice and tea or coffee. AC was an extra Euro 5/day but fan was effective. Bus stop just outside the door and helpful staff. We would stay there again as it had one of the nicest beaches on Mahe. We stayed at different accommodations during our journey, but this was our favourite one! We loved this place. The rooms are spacious and perfectly clean with big windows and a wonderful sea view (only the two rooms on the 1st floor have a sea view). It is not a luxury place, the furniture is functional, but in a neat condition. The air condition worked very well. The staff was always available for any questions and very friendly. If you ask for it, they serve dinner in the evening. We had dinner there two times, and it was great. If you stay there, you must try it! Breakfast is served in the garden and includes toast with butter and jam, fresh exotic fruit, coffee or tea, juice and a crepe. The beach is just across the street. Now and then we were on our own there – no other people around: We liked it a lot. If you want to snorkel, this place is perfect. We saw lots of coral fish there. Shops and restaurants are a ten minute walk away. If you want to go out for dinner in the evening, make sure you have a torch light with you. Like in many places in the Seychelles, the street there is not lighted. We felt very safe, relaxed and happy at the Divers Lodge and would always go back. The stay was very nice. 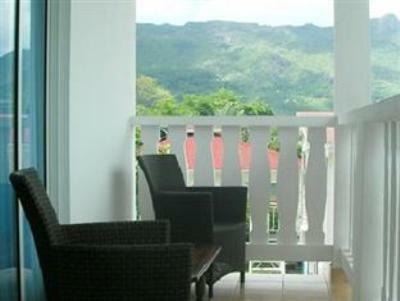 It is a short walk from Beau Vallon beach in addition to a smaller beach right across the street. The breakfast consists mainly of fresh fruits. The room was big and comfortable. Alla på Divers Lodge och Teddys glasbottomboat var mycket trevliga och hjälpsamma. Vi har aldrig haft det så avslappnat och bra på någon tidigare semesterresa. Wir waren nur 2 Tage zu Gast, sehr zufrieden mit dem Zimmer der Sauberkeit u. der Lage. Das erste Frühstück war gut u. ausreichend. Das zweite Frühstück, wegen der frühen Abreise (6:00), schon am ersten Tag überreicht, eine Frechheit. Für 3 Personen wurde uns nach dem ersten Frühstück folgendes übergeben: 6 schnzel Orange, 3 Scheibletten u. 6 Scheiben Toast( war am Abreisetag verschimmelt! Das GH selbst mit sehr gutem Strand liegt auf der Westseite der Insel. Die Zimmer, mit Bad/Dusche, sind angenehm gross und sauber. Die Mitarbeiter des GH sind von freundlich+hilfsbereit bis muffig zu bewerten. Evt. liegt letzteres an fehlenden Englischkenntnissen. beim Frühstück gibt es noch ganz viel Potential nach oben!!! Kaffee: 1Tasse, Toast: 2Scheiben, Butter: 10gr., Käse: immer 1Scheibe, Marmelade: 1x Erdbeer, Früchteteller: von ''naja'' bis okay, Eier: extra bestellen und gegen cash! nächstes mal nehmen wir selfcatering! Angenehm mit nettem und hilfreichem Personal. Nebenan ist direkt eine Tauchbasis, was es für interessierte praktisch macht! Le personnel de l'hôtel est très sympathique, en particulier les deux filles qui nous préparent le petit déjeuner, qui était par ailleurs excellent (fruits, toasts, crêpes, jus, café/thé). La chambre est spacieuse, possède une cuisine et une salle de bain avec une bonne douche. Un seul petit bémol; le lit était un peu trop dur. L'hôtel est adjacent au centre de plongée Big Blue Divers, et se situe à une dizaine de minutes à pied de restaurants et du centre Blue Sea Divers. Chambres spacieuses, propre, vue sur la mer et coucher de soleil, plage à deux pas. Petit bémol, les toilettes de notre chambre étaient mal fixés et bancales ! Chambre spacieuse avec cuisine équipée a deux pas. Calme. Terrasse avec vue sur arbres et mer contenant un lit pour un repos au bon air ! Personnel serviable et chambre confortable. Bonne adresse. personnel agreable mais petit déjeuner très leger. L’hôtel est proche du centre de Beauvallon, environ 5 mn à pieds. La chambre et spacieuse, propre et confortable et au calme. La salle de bain est grande et agréable. Le petit déjeuner est copieux et très bon.Le bus est à 100 mètres et la mer juste en face, il n'y a que la route à traverser et les clubs de plongée à proximité. Манговое дерево прямо перед номером. Убираются каждый день. Завтрак очень простой. Сантехника не в лучшем состоянии. Пляж перед отелем для плавания подходит плохо, до Beau Vallon минут 5-10 пешком, там можно купить не дорогой(по меркам острова) еды и поплавать/попрыгать на волнах. В целом для пляжного отдыха лучше брать отель поближе к Port Launay(хотя бы доступность на автобусе без пересадок) - это лучший пляж на острове и подходит для плавания и снорклинга, даже в плохую погоду(дует ветер и на всех остальных пляжах волны) на нем почти не бывает волн и есть как глубокие места с песочком, так и места с кораллами, чтобы смотреть рыбок.